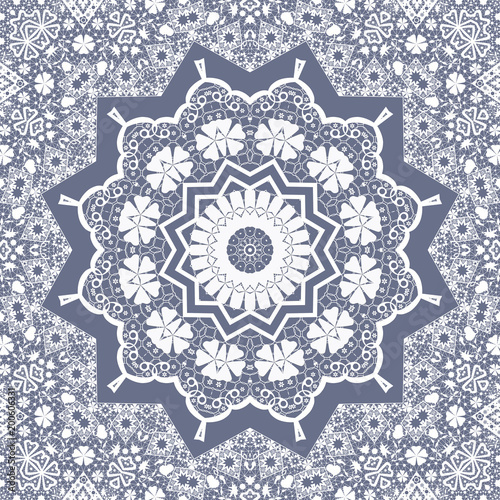 Print a sample 20x20 cm from 2,49 EUR. 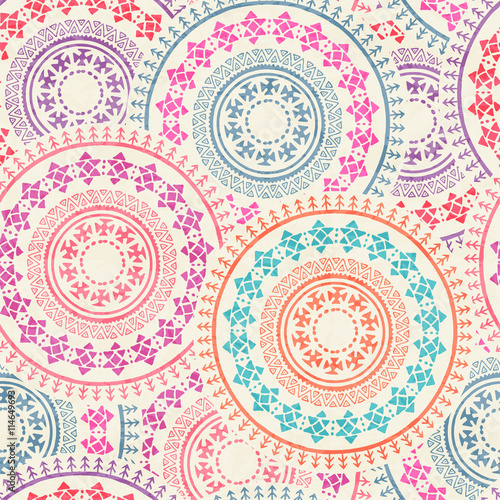 See our pricing. 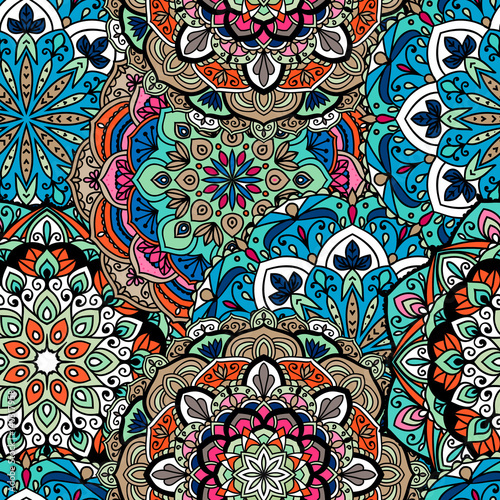 We will print it for you... and it's done! 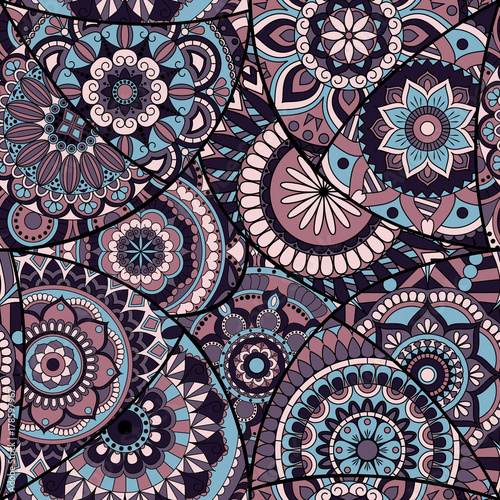 The distinctive, highly original patterns based on geometric shapes and figures are increasingly popular with clothing manufacturers – high-street fashion retailers offer an abundance of pieces with such motifs. 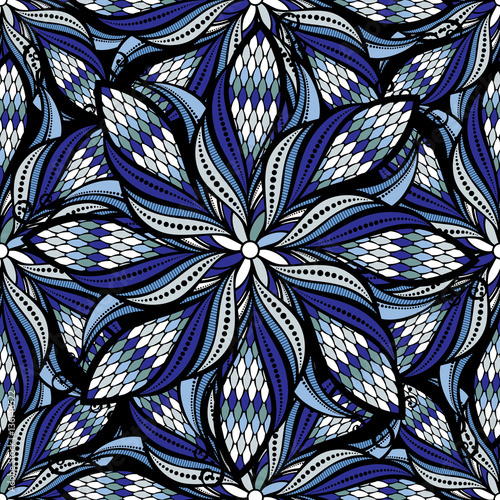 Less daring enthusiasts of geometric prints usually choose clothes embellished with randomly arranged squares, rectangles or triangles. 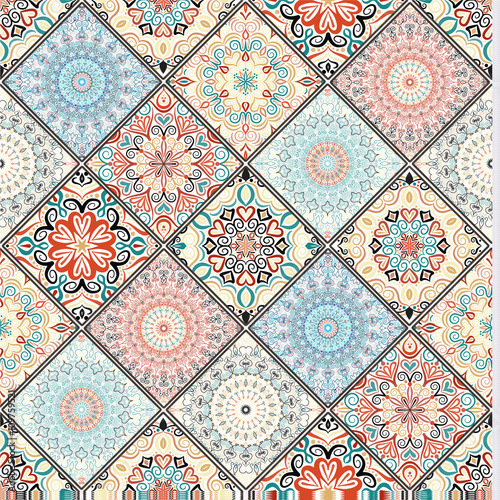 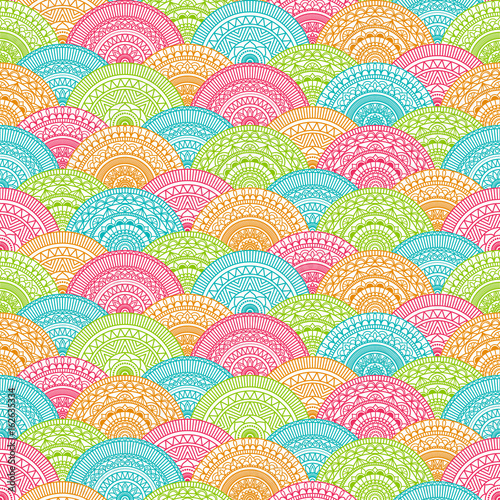 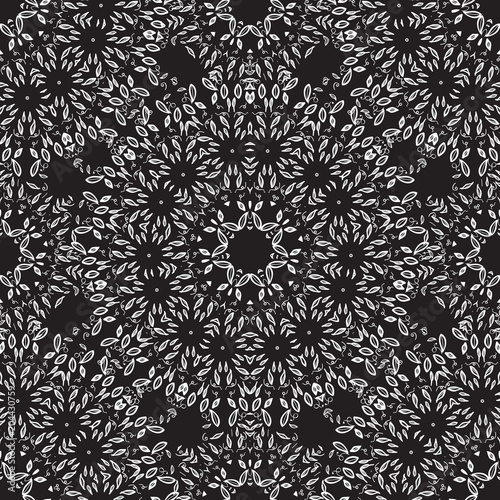 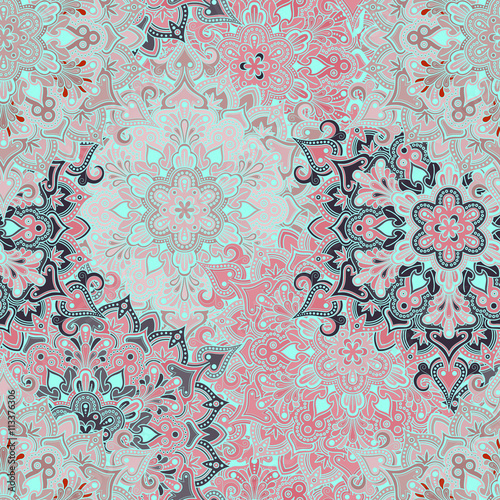 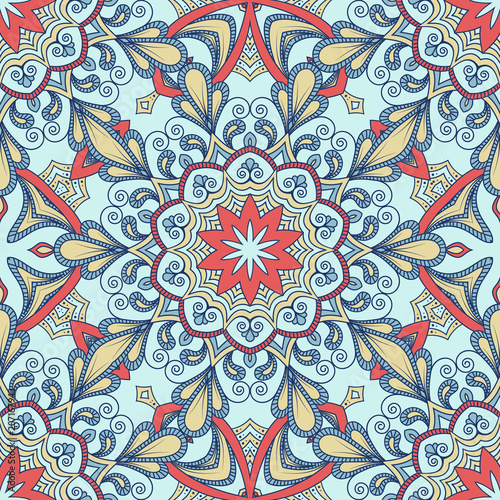 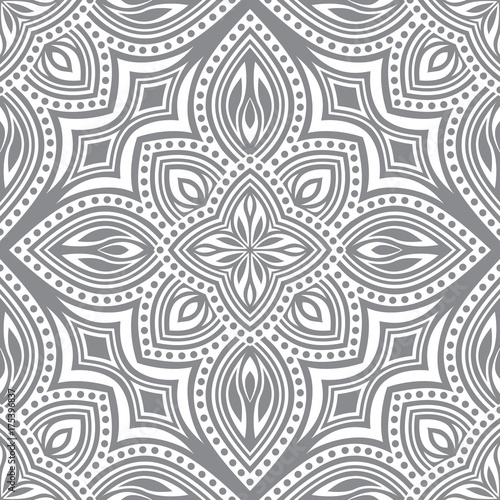 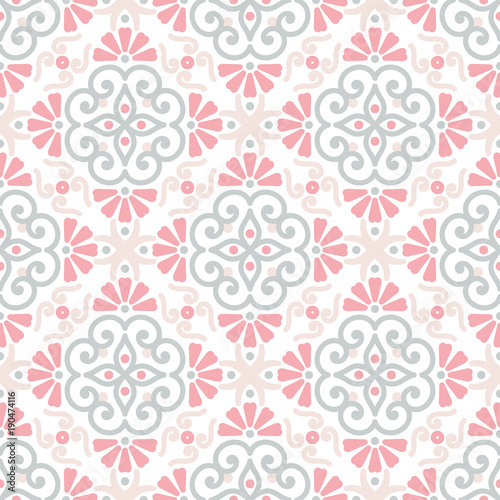 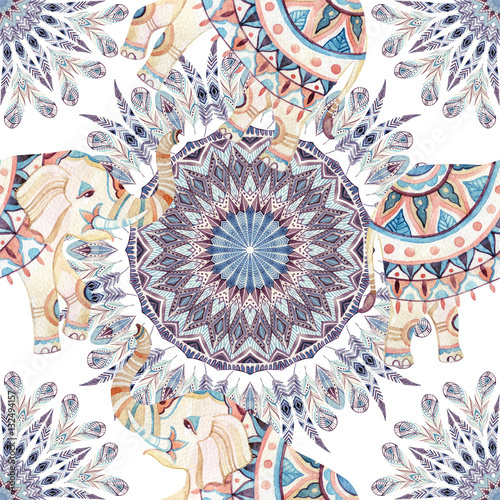 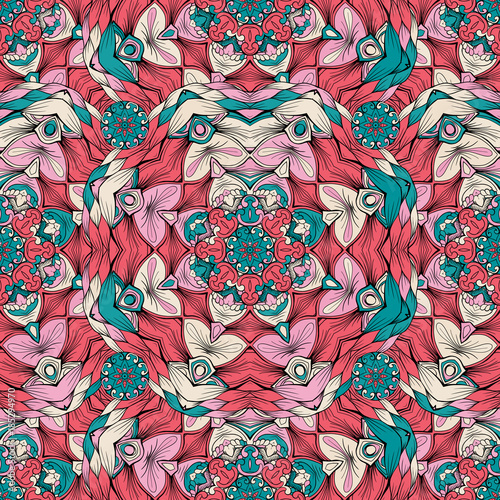 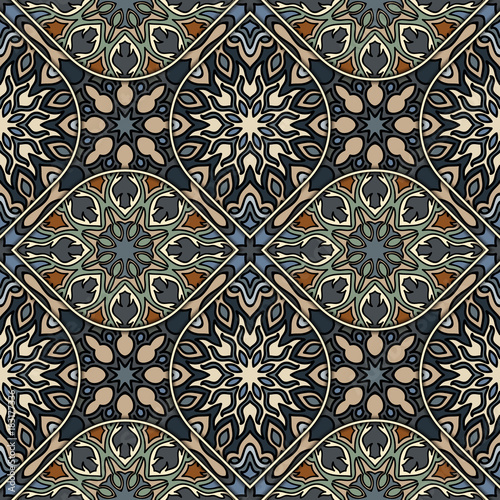 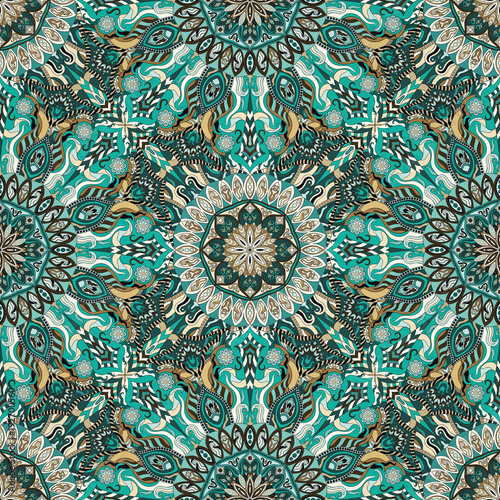 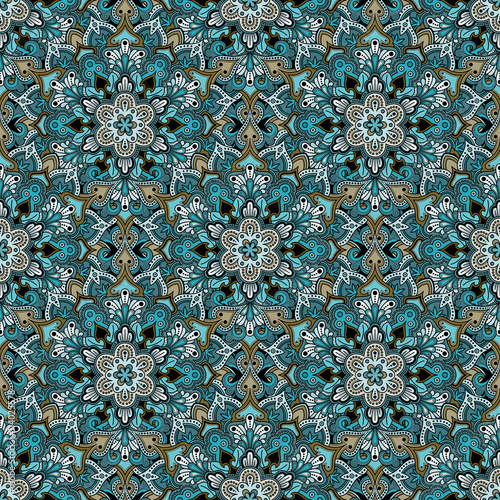 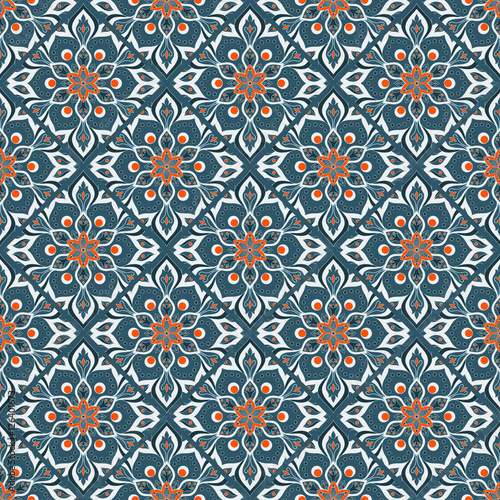 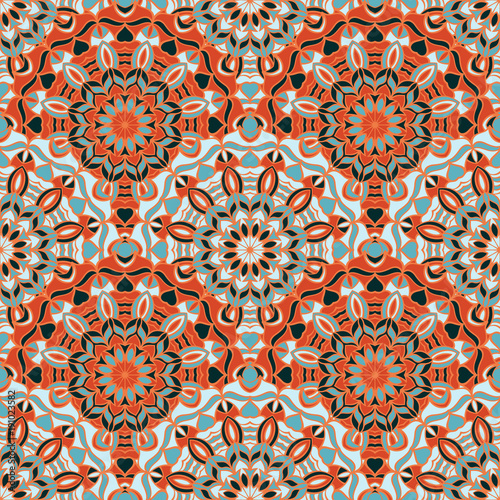 Those who prefer more original designs should opt for our mandala print fabric. 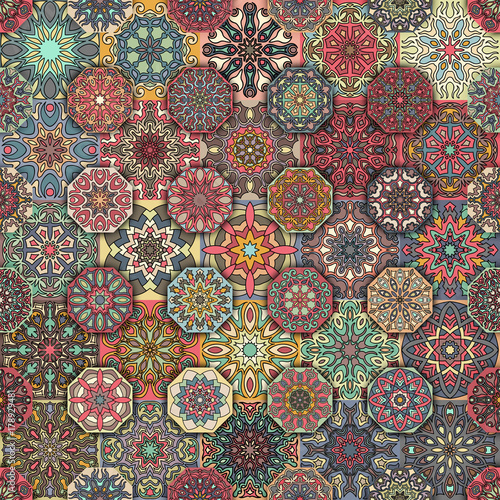 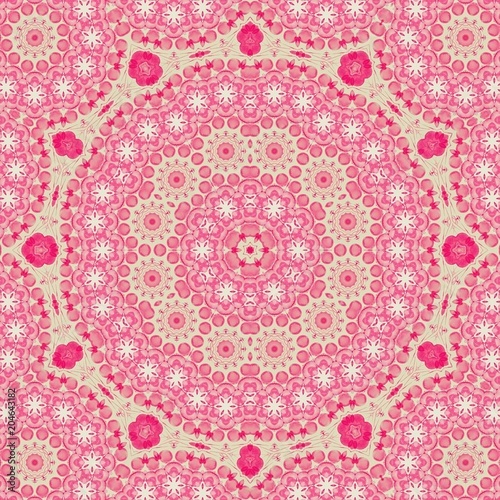 Buddhists use the pattern as a meditation practice, painstakingly creating and then destroying the intricate shape. 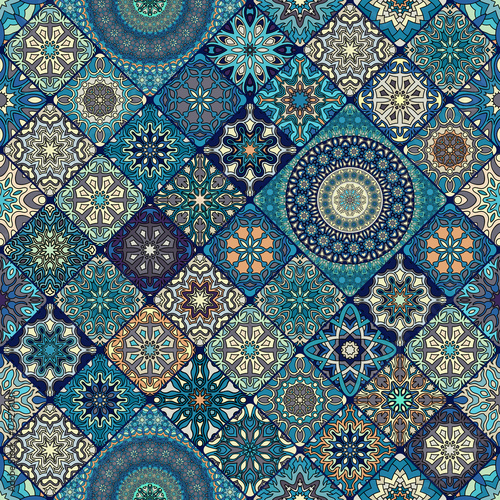 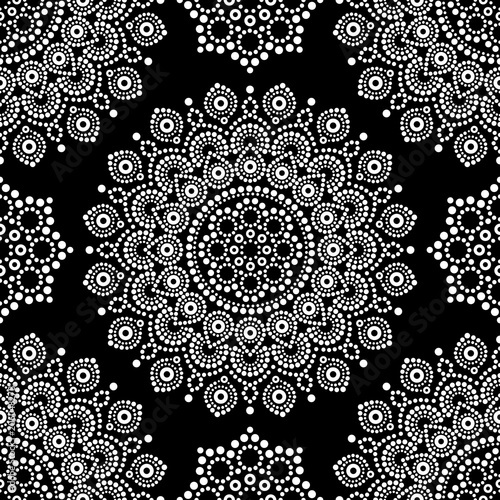 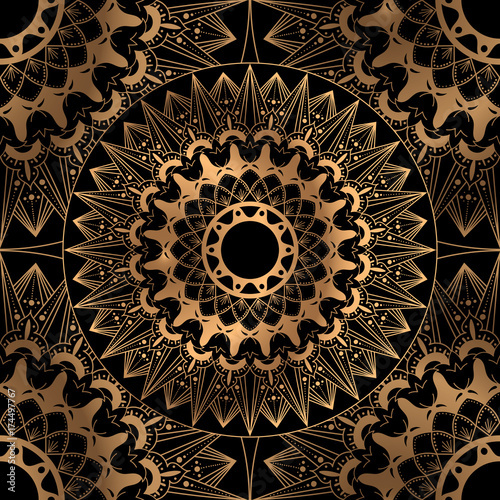 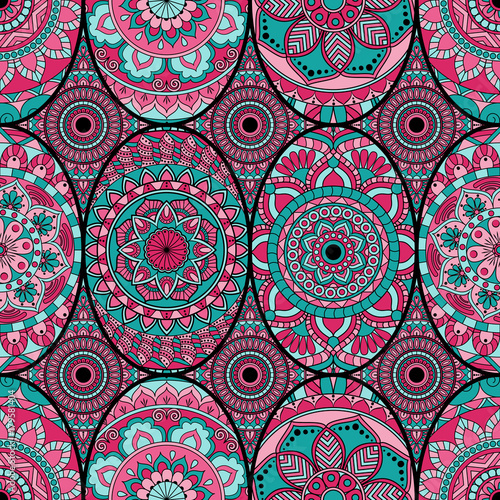 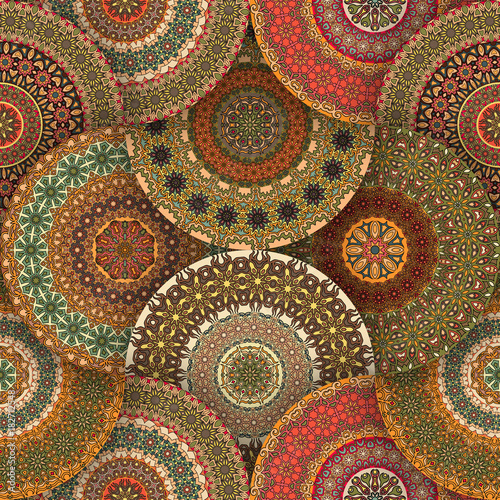 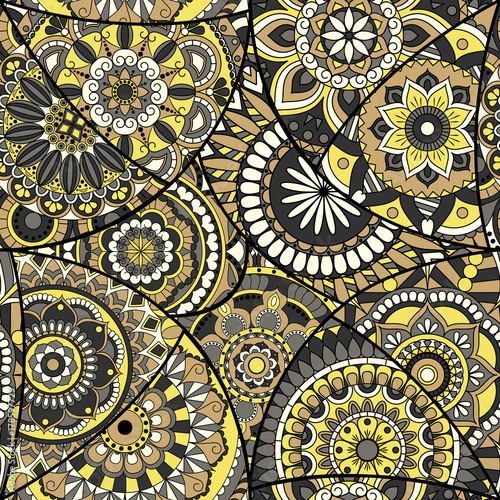 For most people, however, a mandala is a highly aesthetic design based on a harmonious composition of circles and squares. 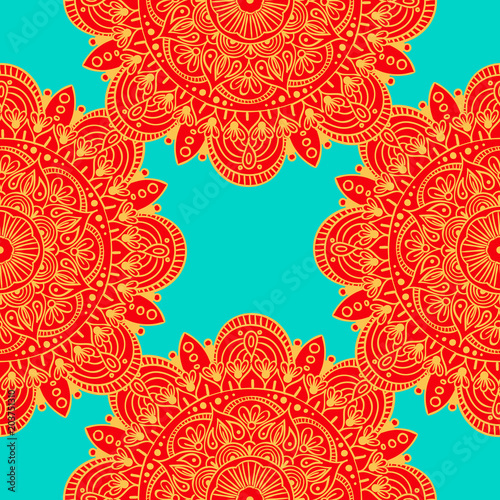 The mesmerising Buddhist pattern immediately attracts attention of everyone around you. 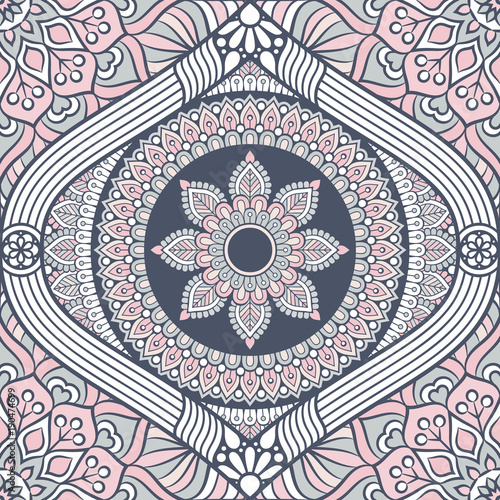 Numerous scientific studies show that looking at a mandala or just being aware of its presence near you calms people down, de-stresses them as well as helping them concentrate. 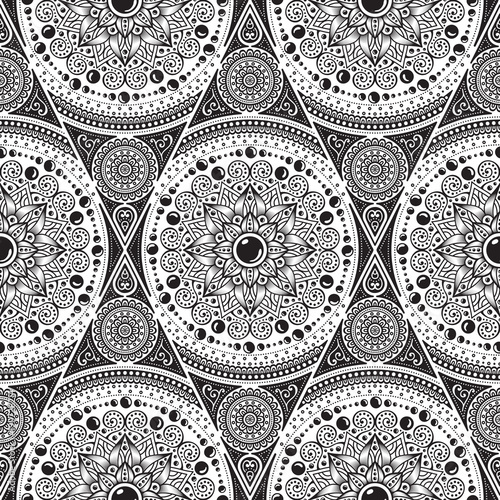 This is exactly why the circular design is more and more often used to decorate busy offices. 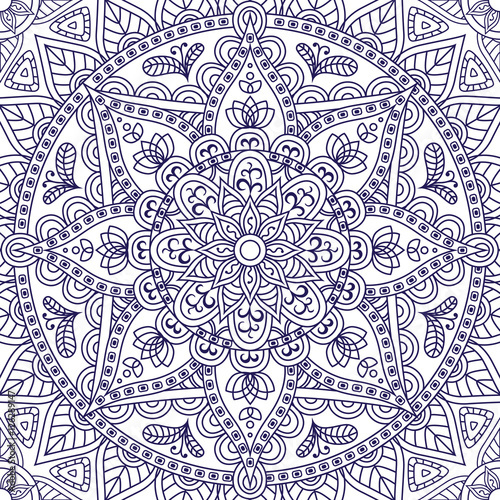 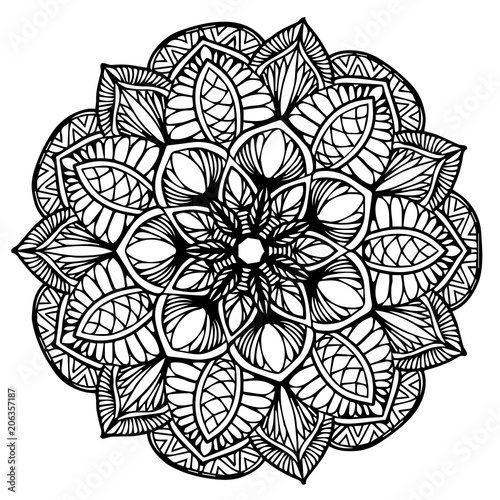 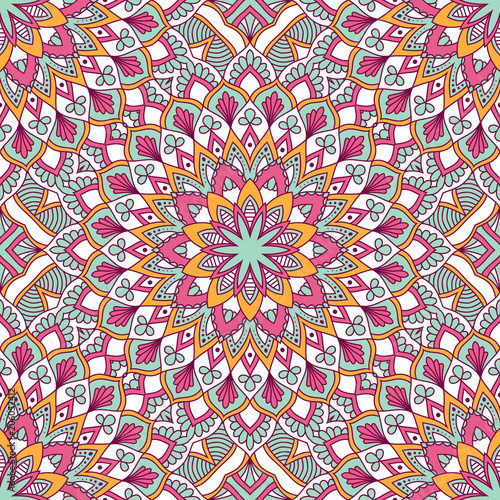 An increasingly popular way to relieve stress are colouring books for adults and children, which frequently feature mandalas. 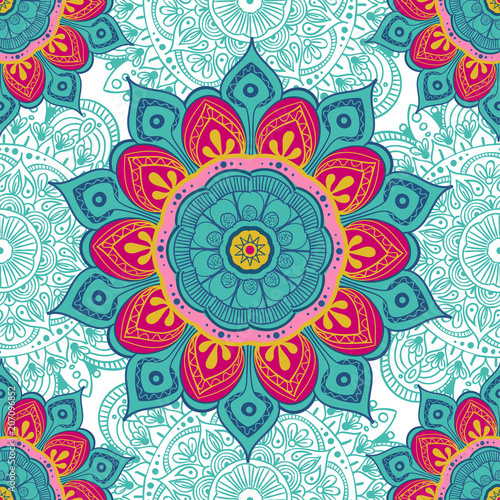 Take advantage of best-quality fabric with mandala design provided by CottonBee to make sure that the unique pattern is an integral part of your everyday life, even when you spend time at home. 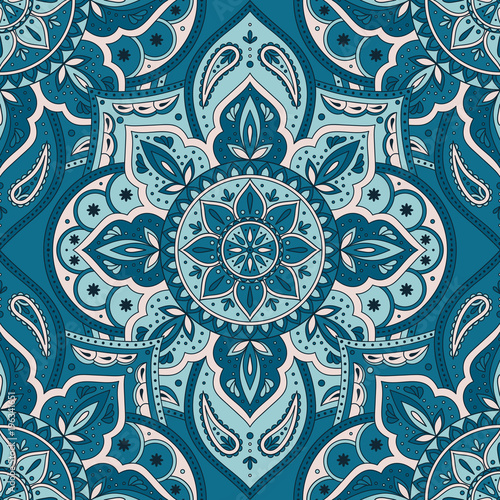 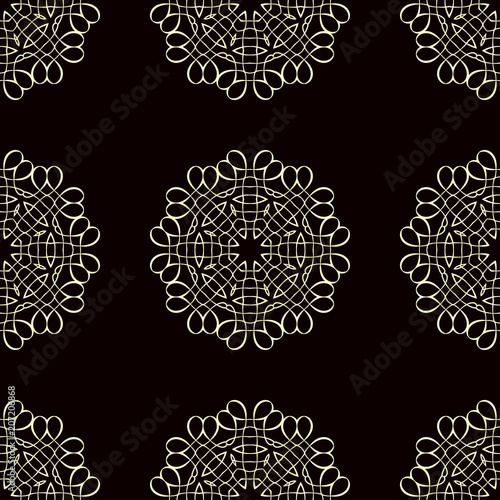 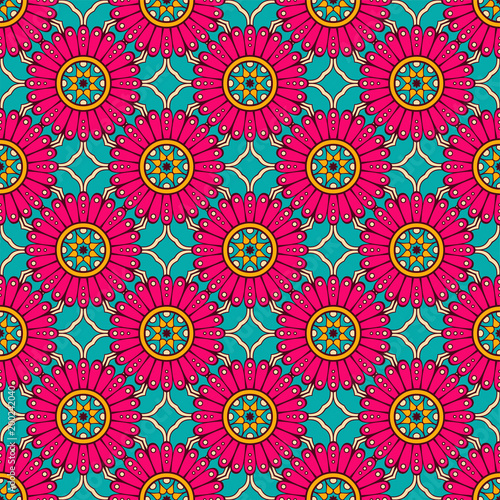 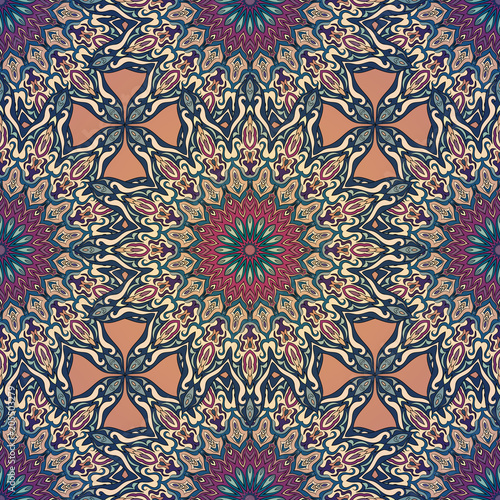 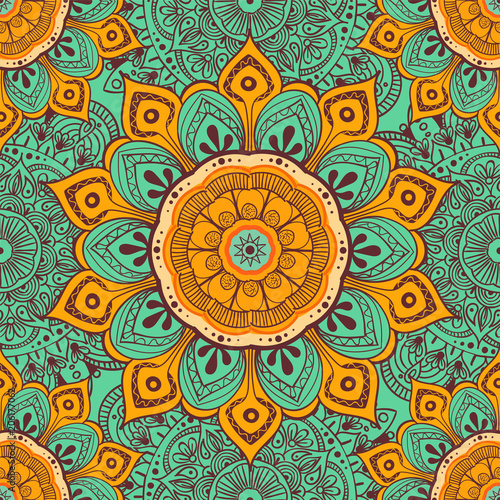 CottonBee’s wide range of fabrics and prints allows you to make not only beautiful garments but also other useful and aesthetically pleasing items, including mandala themed home decor accessories. 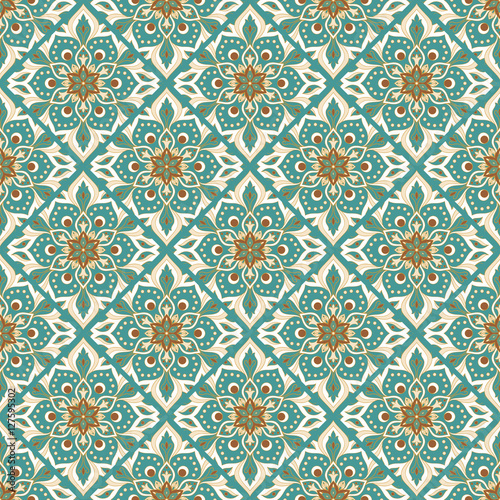 In our online shop there is no minimum order size, so we will be more than happy to assist you however small your project is. 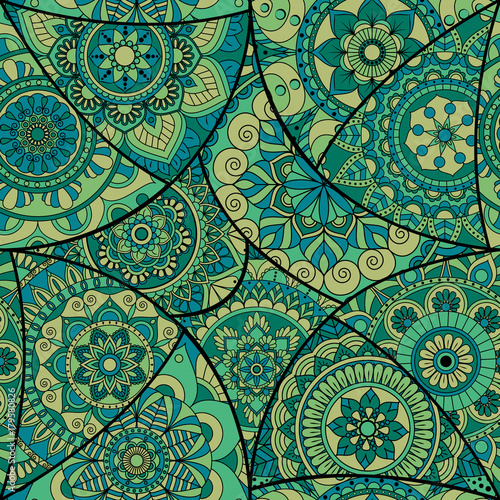 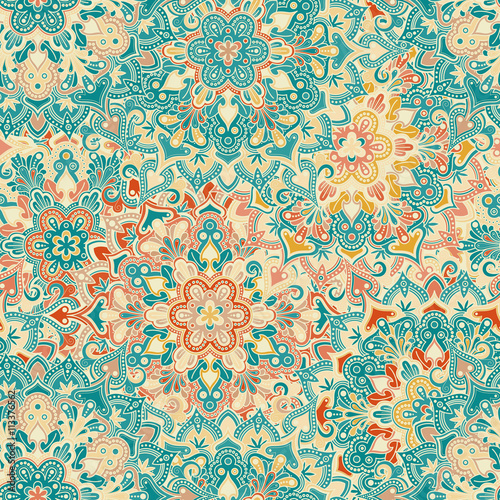 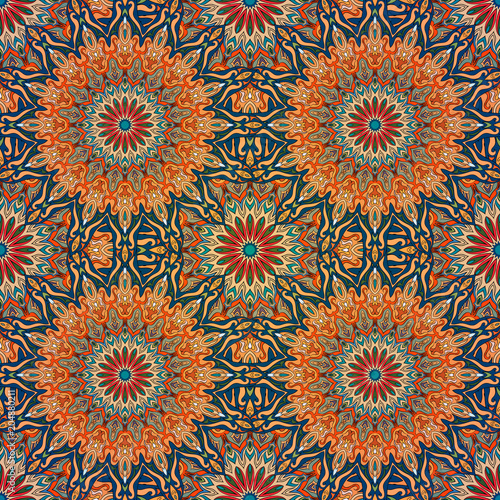 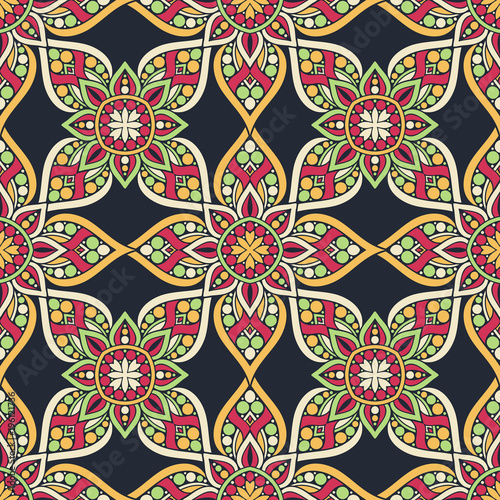 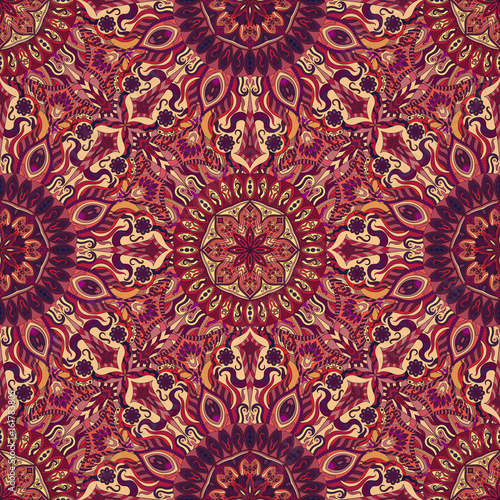 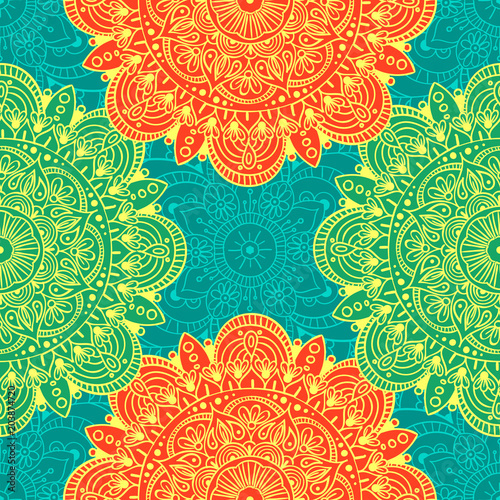 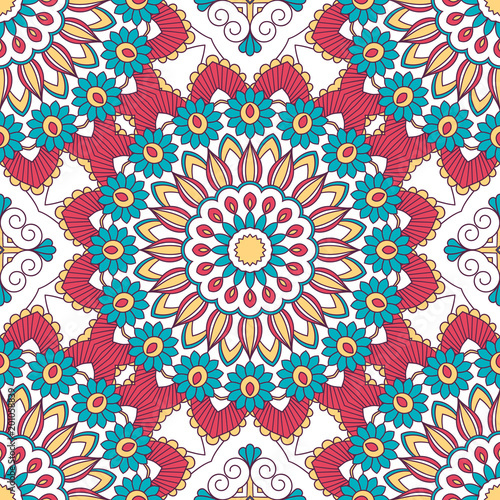 One of the most visually appealing choices among one million patterns we offer is certainly mandala design fabric. 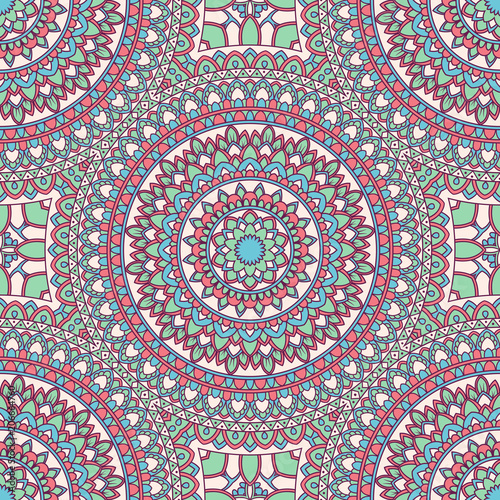 A variety of available colour schemes means that our mandala fabric can be easily matched to the personality of the wearer. 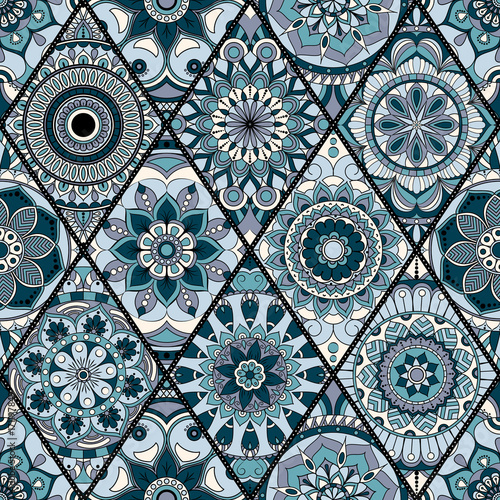 Despite the obvious flamboyance of the pattern, its versions in subdued colours or in black and white can be successfully used by those who prefer more restrained designs. 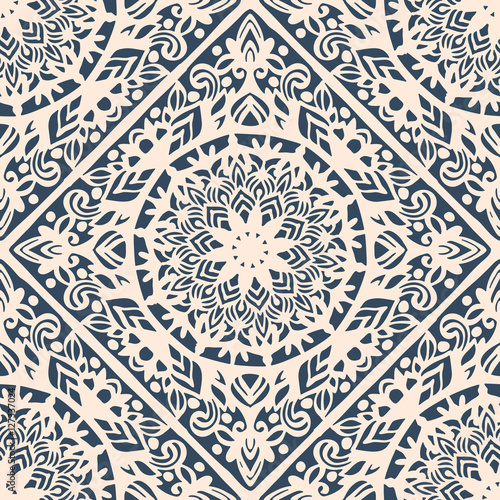 If you like simple and unostentatious clothes, choose the latter option to enjoy wearing an original and fashionable garment while staying true to your taste and style. 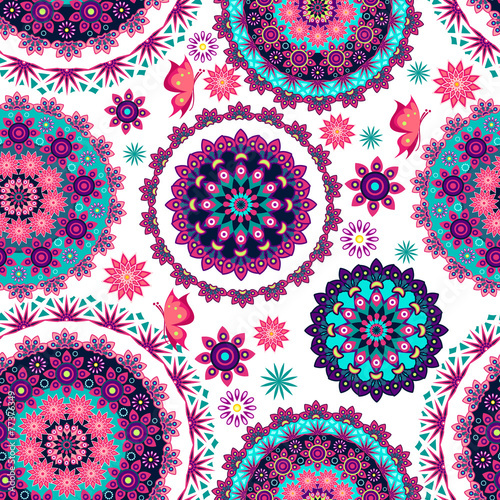 CottonBee is the leading supplier of custom-printed fabrics with an extremely loyal and wide customer base. 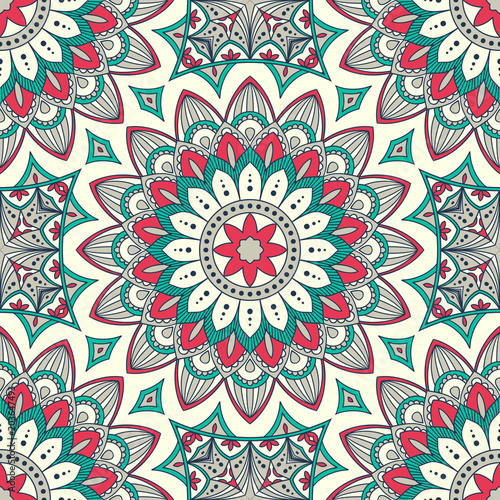 We have managed to earn the trust of thousands of customers thanks to our extensive experience in the textile industry and the individual approach to each client and order. 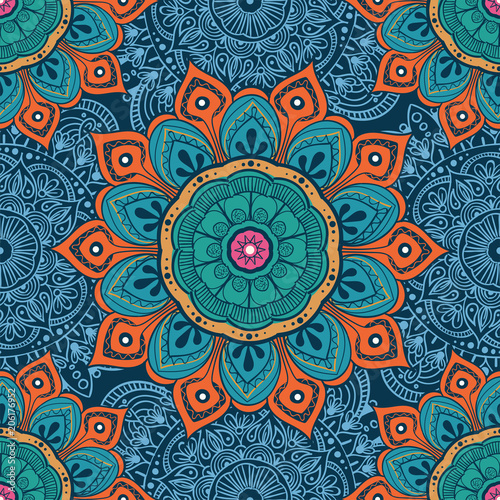 We offer a wide range of designs as well as the opportunity to choose not only the appropriate fabric but also its size and grammage – no matter how many options are available, fabrics with mandala pattern have always been one of our best-selling products.